Visakhapatnam-based seafood supplier Devi Seafoods Ltd has filed a draft proposal with the Securities and Exchange Board of India (SEBI) to float an initial public offering (IPO). The company's public issue comprises a complete secondary market sale by the promoter and promoter group. The IPO size is pegged at Rs 900 crore, according to the draft red herring prospectus (DRHP). VCCircle had reported last week that the company had hired merchant bankers to help the firm go public. Established in the 1990s by P Brahmanandam, the company is among the largest sea food exporters in India. It mainly ships shrimp to foreign destinations. Devi Seafoods will join listed peers such as Apex Frozen Foods Ltd, Avanti Feeds Ltd, The Waterbase Ltd, and Zeal Aqua Ltd in going public. Apex Frozen Foods’ IPO was the most recent offering in the sector. The company, which raised Rs 150 crore from the public issue, went public last September. Its shares listed at 20% premium and have since gained 295% from the issue price. Another Visakhapatnam-based seafood processing and exporting company, Sandhya Marines Ltd, filed its DRHP with the country's markets regulator last week. In the broader food processing segment, Chennai-based Capricorn Food Products India Ltd had filed its draft proposal with SEBI last month. Devi Seafoods is among more than 30 companies looking to go public this year as firms seek to benefit from the recent boom in stock markets. Three dozen firms went public last year, raising a total of more than Rs 67,000 crore ($10.5 billion). Six companies have already gone public in 2018 cumulatively raising Rs 3,312 crore. The IPO is entirely a secondary market sale and its size is Rs 900 crore. The issue will see the promoter sell a part (amount disclosed) of its stake in the IPO. The proceeds from the secondary sale will go to the promoters. The company will not receive any money from the offer. Axis Capital, ICICI Securities, and Kotak Mahindra Capital Co are the merchant bankers managing the IPO. Cyril Amarchand Mangaldas is the legal counsel representing the company. S&R Associates and Clifford Chance Pte Ltd are the Indian and international legal counsels respectively representing the merchant bankers on the IPO. Devi Seafoods was incorporated in March 1992 by P Brahmanandam. The company is an integrated player in the processed shrimp supply chain. It handles shrimp seed production, raw shrimp procurement, processing, and overseas distribution to customers. The company exports processed shrimp primarily to North America besides shipping to other markets such as Southeast Asia. Its major customers in the United States include food service distributors, restaurant chains, retailers and distributors, and warehouse chains. Devi Seafoods sells processed shrimp products in the US market through its wholly-owned US-based subsidiary, Devi Sea Foods Inc. 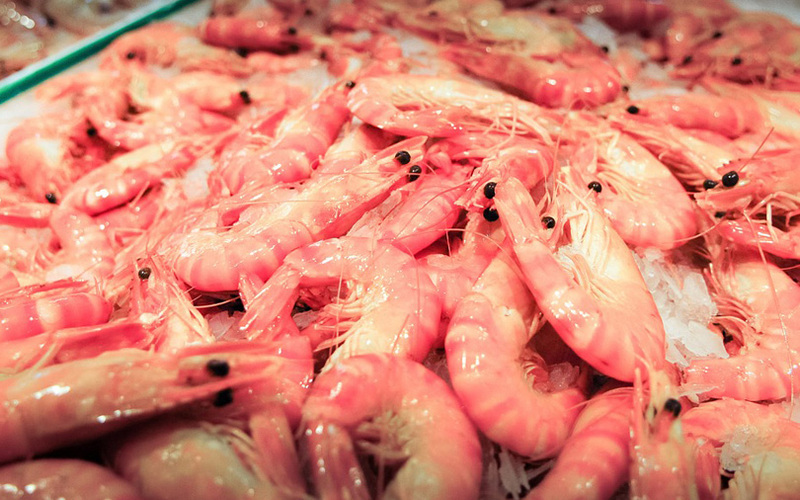 The company processes raw shrimp and exports in ‘ready-to-eat’ and ‘ready-to-cook’ categories. It has two shrimp processing facilities located in Andhra Pradesh and has a combined installed capacity of 19,250 tonnes as on December 2017. Devi Seafoods was the second largest exporter (in value terms) of seafood as well as for frozen shrimps from India for the financial year 2016-2017. Last year, India was the third largest seafood producer and the second largest aquaculture producer in the world and among the top five shrimp producers globally. The United States is the world’s biggest importer for processed shrimp and is highly dependent on imports to meet its domestic requirements. The company reported consolidated net profit of Rs 141.58 crore for nine months ended December 2017 on consolidated revenue (from operations) of Rs 1,453.94 crore for the same duration. In 2016-17 and the previous fiscal, the company reported net profit of Rs 105.55 crore and Rs 81.2 crore respectively. Its revenue in the same financial years stood at Rs 1,611.93 crore and Rs 987.67 crore respectively.